Ready for takeoff, Nayarit, Mexico. One of many places that are extremely interesting for a naturalist, but very difficult to get to, are Islas Tres Marias off the western coast of Mexico. 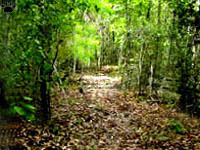 They are tantalizingly close to the mainland (about 100 km), and have dozens of endemic species and subspecies of animals and plants, plus some of the best diving sites in Central America. world's most pristine diving sites. Since 1919, the islands have served as a penal colony with thousands of inmates. 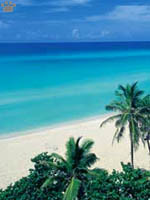 In April 2003, the government declared its plan to close the colony, turn the islands into a Nature reserve, and allow resort development. However, according to local residents, many of the inmates refused to leave the colony, and the future of the project is still uncertain. For now, the irregular boat service has been canceled, and the only way to get to Las Tres Marias is illegally, by a private plane or boat. dry tropical forests occurring above 150-250 m. I wanted very much to get to the islands, so I looked for an opportunity to rent a boat or a plane. 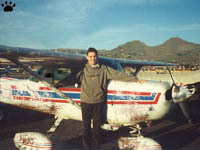 (I'd once tried to get a pilot's license, but had to drop out just before my first solo flight for financial reasons). 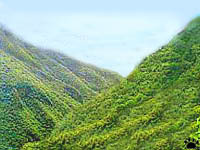 high volcanic hills, tropical rainforests exist. 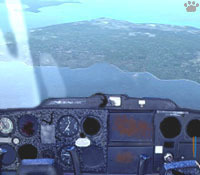 Approaching Las Tres Marias. 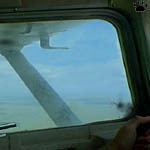 Eventually, I found someone willing to lend me a Cessna 152 for just $100. My 1996 Russian driver's license passed for a private pilot's. 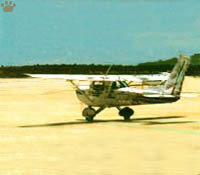 I couldn't use airfields, and had to land on a remote beach on Maria Madre, the largest island in the group. Beach landing site, Maria Madre I.
in search of sea turtle eggs and other edibles. I spent a day and a night there, snorkeling and hiking. 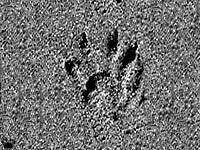 I managed to find many island endemics, including all three mammal species: bat Myotis findleyi, rabbit Sylvilagus graysoni, and the endangered Tres Marias Islands raccoon. shape. 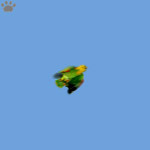 There are also differences in stride length. 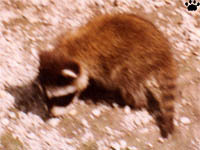 Common raccoon (Procyon lotor), California. 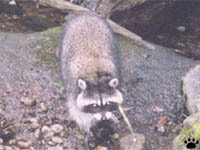 This enigmatic creature differs from both mainland raccoon species, but is more closely related to common raccoon. With less than 250 left (all on Maria Madre), it's likely the rarest carnivore in the Americas. 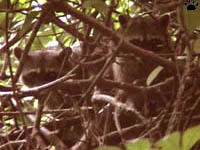 Crab-eating raccoon (P. cancrivorus), Venezuela. The return flight was a bit difficult (I could only take off at low tide, and ran into some turbulence just before landing), but I had with me the first photo of Tres Marias Islands raccoons ever taken. 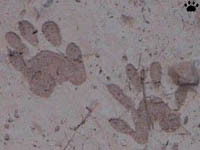 A more scientific account of this trip was published in April 2004 issue of Small Carnivore Conservation. I hope the islands will become a Nature reserve eventually. 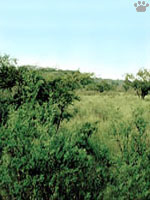 riparian forest, Maria Madre Island.